Rustavi offers yet a glimpse into the depression after the collapse of the Soviet Union. There is a limited market for the products produced here, though some metallurgic and chemical industry gradually starts to emerge. in the Rustavi factory halls. Not much hope in the streets of Rustavi. spoke with had just recovered from being stabbed with a knife. Tourists also report minor incidents travelling through the city. This is due to very high degree of unemployment and the social problems related to that. 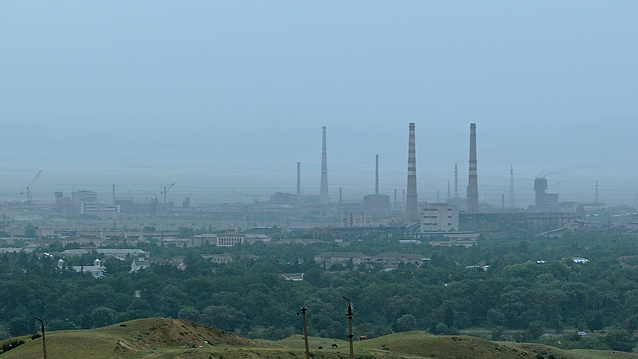 The city was founded in 1948 to house the workforce of a nearby metallurgical plant, constructed in 1941-1950 to process iron ore from nearby Azerbaijan. 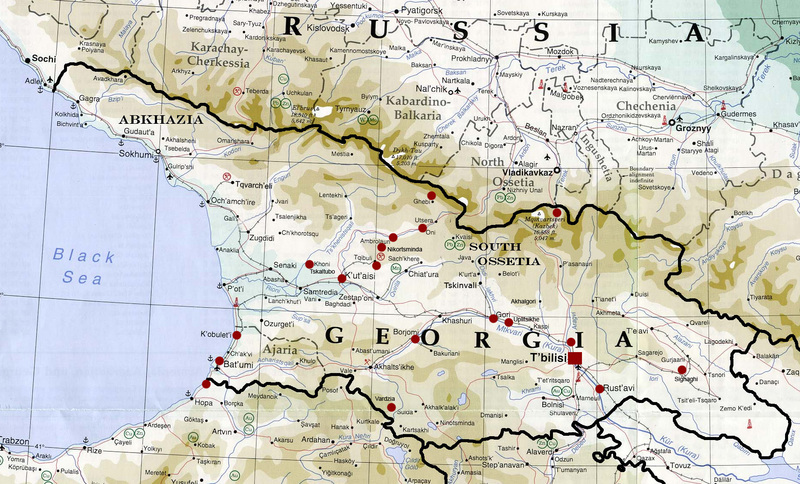 Stalin brought workers from various regions in Georgia, specifically from the rural poorer provinces of Western Georgia. 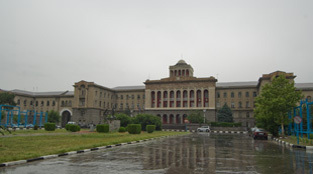 German POW's (World War II) were also enlisted to design and build Old Rustavi. It took its name from a nearby ancient town which was destroyed by the Mongol leader Tamerlane around 1400. Rustavi became a key industrial center for the Transcaucasus region. The collapse of the Soviet union. 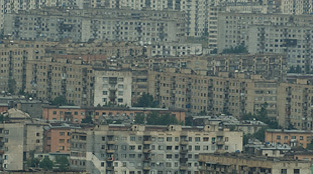 The fall of the Soviet Union in 1991 proved disastrous for Rustavi, as it also caused the collapse of the integrated Soviet economy on which the city depended. Today, most of its industrial plants have been shut down and 65% of the city's population is unemployed, with all of the attendant social problems of high crime and acute poverty that such a situation brings. The population shrank from 160,000 in the mid-1990s to 116,000 in 2002 due to severe unemployment. The main industries now are iron and steel milling and the manufacture of metal products and chemicals. Rustavi is actually divided into two parts--Dzveli Rustavi (Old Rustavi) and Akhali Rustavi (New Rustavi). Old Rustavi adheres to Stalinist architectural style while New Rustavi is dominated by a seemingly endless stretch of depressing Soviet era apartements. The proud factory administration building. Rustavi is filled up with Khrustchev apartements.